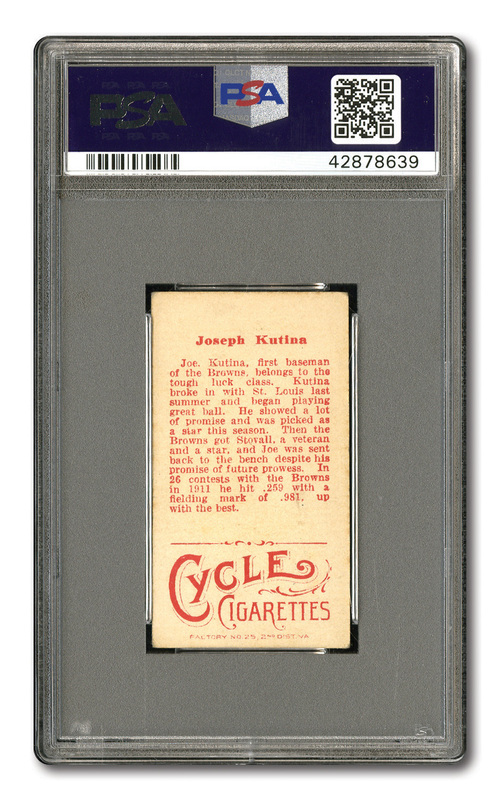 Nice looking VG-EX PSA 4 from the 1912 T207 Brown Border issue of St Louis Browns 1st baseman Joseph Kutina with the tougher Red Cycle Advertising back. Clean front and back. 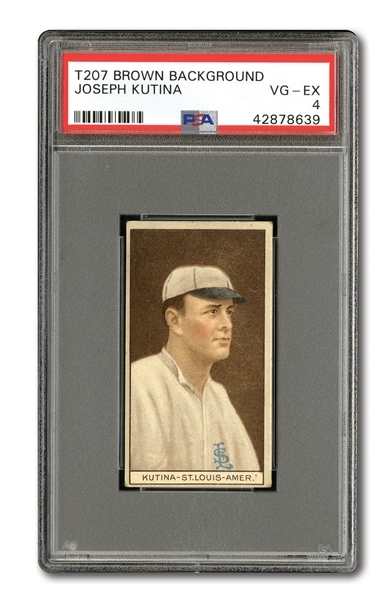 Good color and picture registration for issue. VG-EX looking corners. Centered toward the lower left corner.